Hard boil an egg (if you prefer). When your boiled egg is cooked (approx 15 mins), drain excess water with enough left in your pot to prepare ramen per package directions. The water should still be boiling hot, so you can toss in the noodles right away! Add greens (bok choy!) If you wish just before the noodles are cooked. 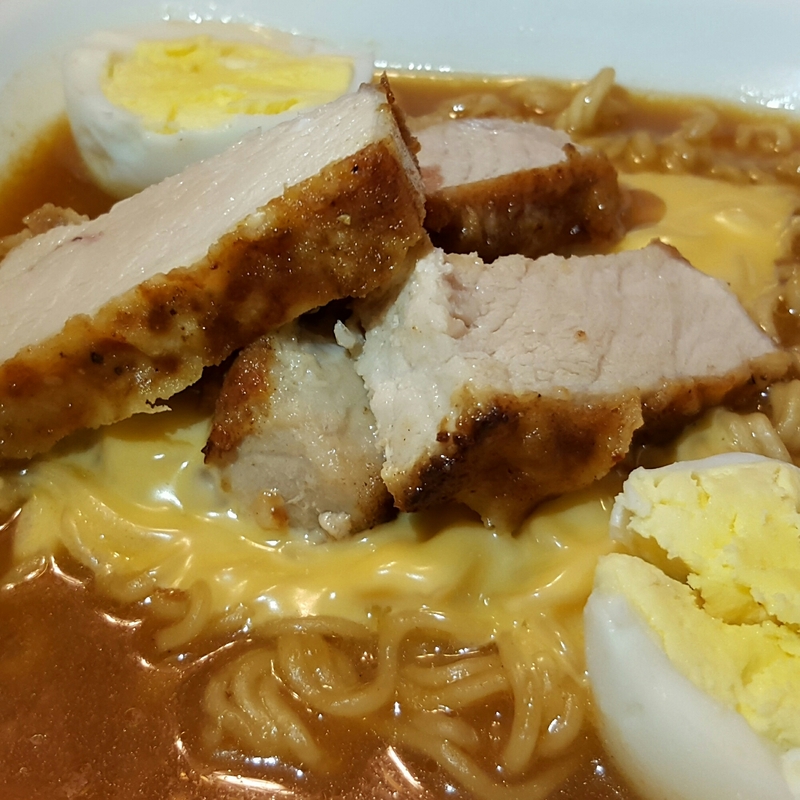 Place your cooked ramen in a bowl, add a slice of process cheese on top. Add hard boiled egg and your sliced pork chop to complete your dish.